Introduction 1. "Letters to a friend" 2. "The Red and the Black" - topicality and realism, plausibility and representation 3. "The Charterhouse of Parma" - mirror or myth?, psychoanalysis and story-telling; perspectives Part 1: Nineteenth-century views 4. 1831 - Balzac's response to "The Red and the Black" 5. 1832 - from Stendhal's own draft review of "The Red and the Black" 6. 1840 - from Balzac's review of "The Charterhouse of Parma" 7. 1854 - Sainte-Beuve on "The Red and the Black" 8. 1864 - Hippolyte Taine on characterization and style 9. 1880 - Emile Zola on Stendhal the psychologist 10. 1882 - Paul Bourget on Standhal and "The Red and the Black" 11. 1892 - Emile Faguet on "The Red and the Black" and "The Charterhouse of Parma" Part 2: Modern readings 12. "Realism" - Erich Auerbach on "The Red and the Black", Georges Blin on realism and point of view 13. 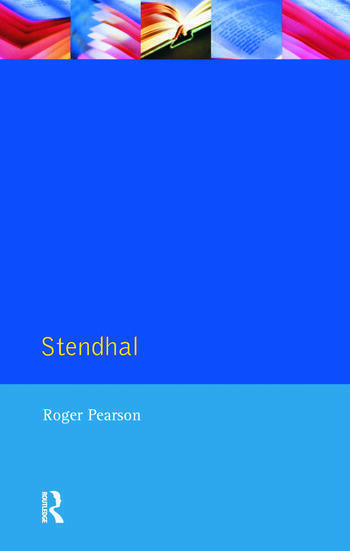 Thematic criticism - Jean-Pierre Richard on Stendhal's "imaginary universe" 14. Existentialism and Marxism - Victor Brombert on freedom in "The Charterhouse of Parma", Pierre Barberis on politics in "The Charterhouse of Parma" 15. Structuralism and language - Shoshana Felman on "madness" and "intoxication", Michel Crouzet on language and silence 16. Psychoanalysis and narratology - Roland Barthes on "The Charterhouse of Parma", Peter Brooks on "The Red and the Black" 17. Feminism and gender criticism - Carol Mossman on "The Red and the Black" 18. Readers and representation - Ann Jefferson on reading "The Red and the Black", Christopher Prendergast on the ethics of verisimilitude.